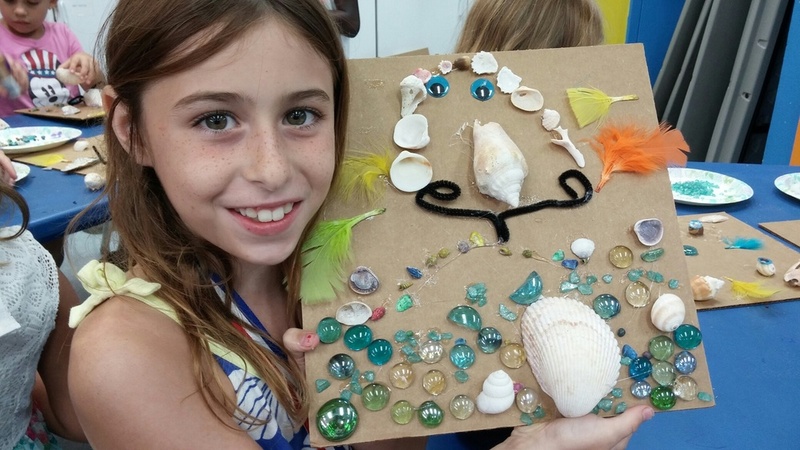 Having completed the projects involving imaginary sea shell landscapes, students in the five Dalí Summer Recreation Centers continued exploring the themes of the beach and Dalí by making stunning bottle fish and luminous beach lanterns. Thomas Jet Jackson girl proudly lights her beach lantern. Thomas Jet Jackson girl completes the finishing touches on her lantern. Summer Recreation Center Workshops - The Dali’s Recreation Center Art Workshops will be offered to underserved inner city students in five of the City of St. Petersburg’s Recreation Centers in addition to transportation support with city vans transporting children from the Recreation Centers to the Dali Museum at the beginning and end of workshop timeframe. This innovative five-week series of workshops with a rotating theme will expose children to the work of Salvador Dali while they explore the creative process by making art related to his work.